Emigrate to Australia where over-supply of properties continues to see the price of homes become more affordable. Emigrate to Australia where average house prices fell by 1.6 per cent in the September quarter, compared to the previous three months. House prices in the Queensland capital may be falling but property prices overall have increased by 4.1 per cent over the past 12 months. The average unit price of $440,000 is down 1.1 per cent compared to same time in 2015, according to the Real Estate Institute Queensland. 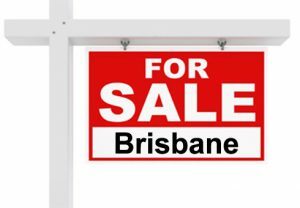 “The cost of apartments and units in Brisbane is falling and will continue to do so due to large numbers of new properties now coming onto the market,” says Darrell Todd, founder of thinkingaustralia. In other parts of the Queensland state, price growth on the Gold Coast and Cairns continues upward while prices have been subdued in central and north Queensland. House prices are set to rise as jobs are created in the area around the new Adani Carmichael coal mine in Queensland. Areas such as Townsville, Mackay and Rockhampton will see expansion and house price rises are these are the closest to the new coal mine.